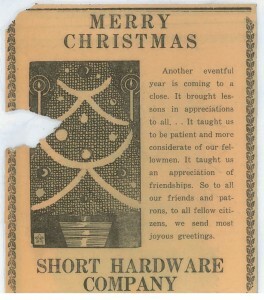 This Short Hardware Co. Christmas greeting is from 81 years ago on Christmas Eve in 1934. In 1917, JP Short II and his wife Linda opened Short Hardware on Main Street in Tifton, GA. JP Short III took over operations in 1932 and ran the store until 1939. 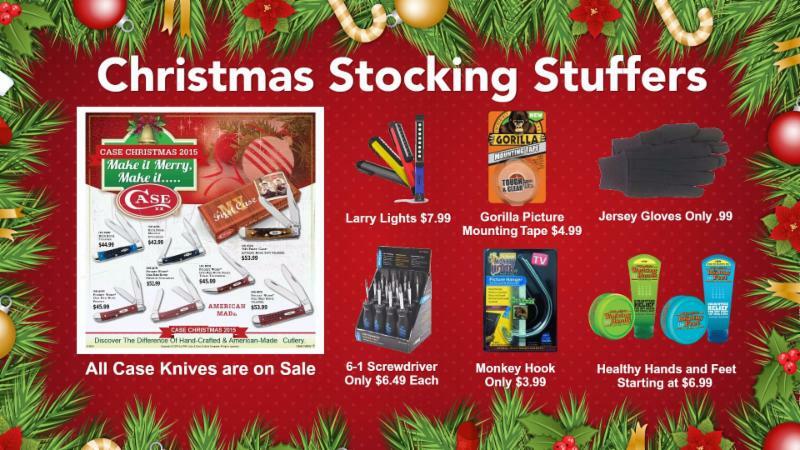 After a short stint working at Rodenberry’s Hardware store in Tifton, JP and his Uncle founded Short & Paulk in 1941. 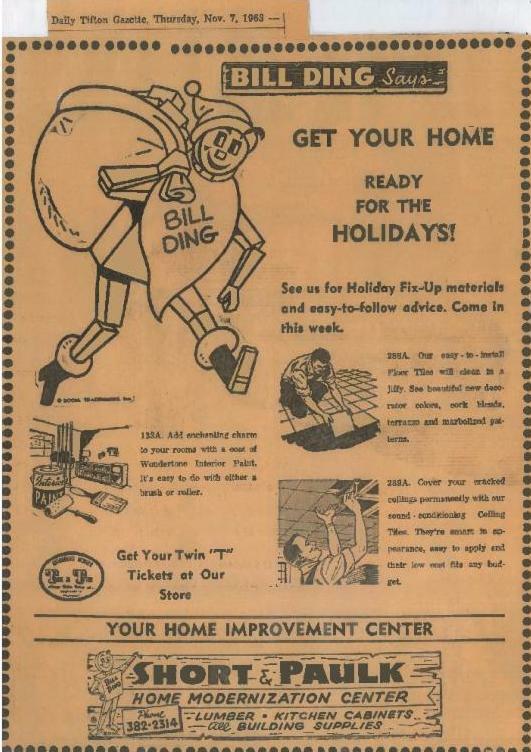 75 years later, as I reflect on our past and plan for our future, I want to wish a Merry Christmas and Happy New Year to all of our friends and patrons. I don’t think I can say it any better than my Grandfather did 81 years ago.